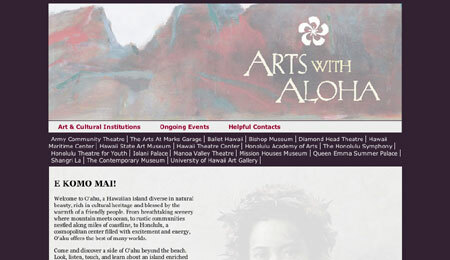 Small two-page website of the Arts With Aloha program. This consortium of institutions represents various cultural and artistic venues around Oahu. Duties included updating the information and look of the site.